I’m looking forward to seeing some of our native alpine plants this spring hiking the Cascades. 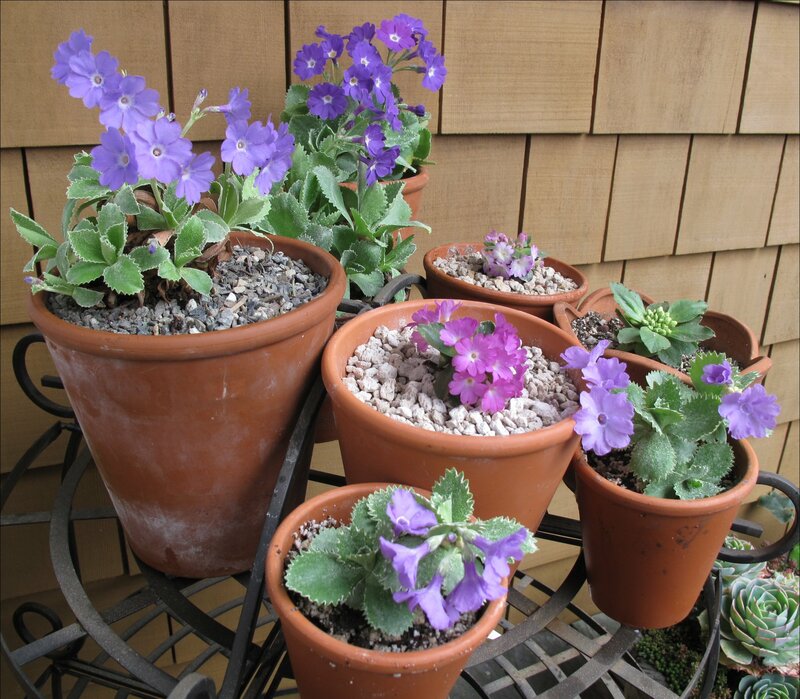 Meanwhile it’s mid-March in Puget Sound and some of my European alpines have begun to flower. It’s hardly the same as stumbling across them blooming in their native confines, but short of that, seeing these plants in cultivation remains a treat. 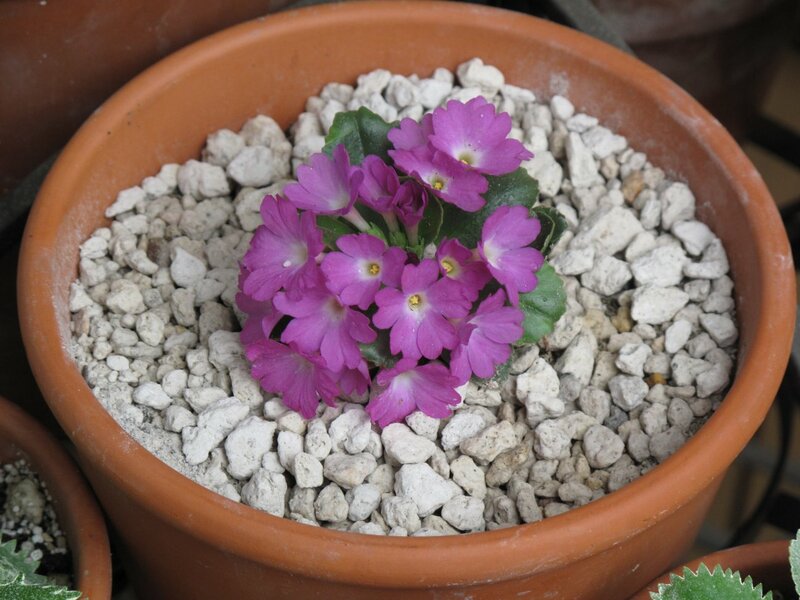 The alpine European primulas are tough plants and have been hybridized extensively, probably as far back as the 19th century. 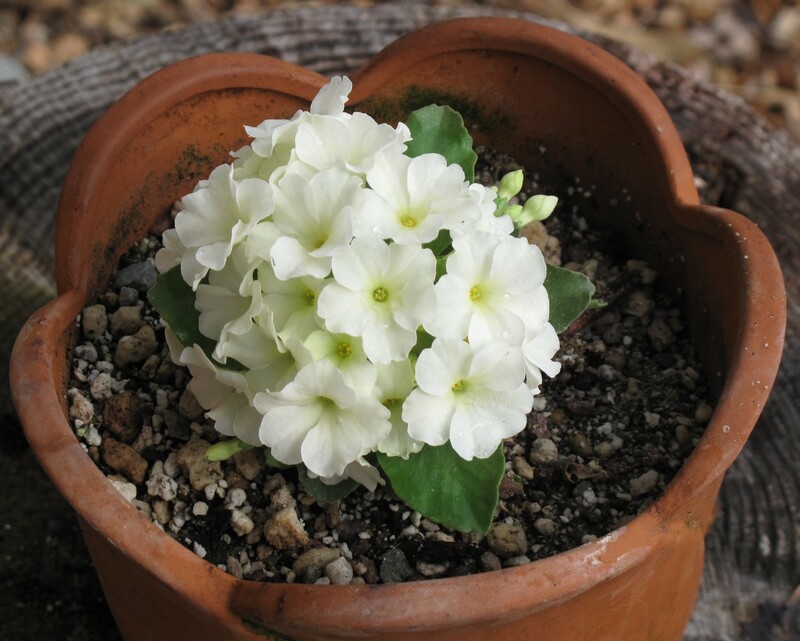 The majority of these species from the tiny P. minima to the well-known P. auricula readily hybridize with each other and have led to the myriad of European hybrids, many named for the region or nursery that’s responsible for the plant. Hybrids of P. marginata and P. allionii make some remarkable looking pot and trough plants. Some of the smaller hybrids, probably crosses related to Primula x pubescens (itself a naturally occurring hybrid between P. auricula and P. hirsuta) are so covered with flowers in the spring you’re hard pressed to see the leaves. 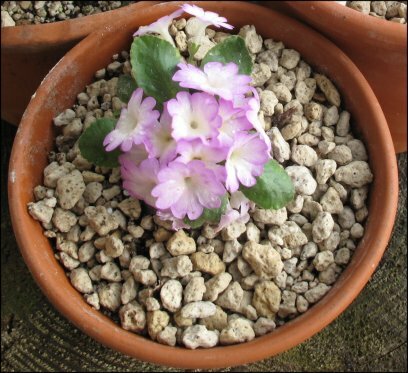 This entry was posted in Alpines and tagged European alpine plants, European Primula, Primula auricula, Primula Wharfdale Ling by Bart Arenson. Bookmark the permalink. Those are some very lovely Primulas. I need some in our garden. The Primula auriculas at Annie’s all seem to be propagated by Claire Woods. I’m wondering if she works at Annie’s. Did any Garden Fling bloggers meet her? The name sounds familiar but I’m not sure.